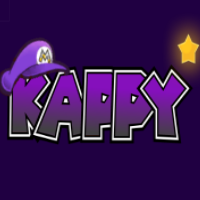 It’s time for the first entry in my #KappySpotlight series! In this series, I cover badges/items/partners/etc… that are generally seen as “bad” and not used very often by challenge runners, and is aimed at giving them a chance to shine in strategies and to dive deeper into why they’re rated the way they are and how can they be used. I’m planning to release 1-2 every week (will depend on my schedule per week) — one will always come out Monday, and if I have time for another it will be on Friday! The first thing I’ll be covering? A badge in TTYD that had cool potential but just never makes the cut — TORNADO JUMP! Move: Deals 2/4/6 damage and creates tornadoes that deal 2 piercing damage to all midair and ceiling enemies. When stacked, gives +1 to the Jump damage and +2 to the tornado damage at double the FP cost. Tornado Jump is that lovable meme badge that no one will ever use. Its biggest asset, the tornadoes, are pitifully weak and only hit aerial/ceiling enemies — that’s right, you don’t hit the grounded ones! With the ability to hit every enemy anyway with a myriad of moves (Stampede, Earth Tremor, Supernova, Fiery Jinx, attacking items, etc…), it’s hard to justify using it to hit multiple enemies. Something that I think really holds back Tornado Jump is that the tornadoes aren’t affected by increases to ATK. You could equip 20 Power Rush badges and still only deal 2 damage with the tornadoes from Tornado Jump. That’s rough. One badge that really overshadows Tornado Jump’s utility is Multibounce. While Multibounce only does a single jump’s worth of damage, its ability to hit every enemy barring ceiling enemies almost always outclasses the tornadoes Tornado Jump provides, and the damage can be easily made up with increases to ATK. There is something to be said about Tornado Jump’s ability to deal Hammer-esque damage to a single enemy; it’s just at 3 FP it’s hardly ever worth the cost when you could Spin Jump or Power Jump for 1 less FP and more damage. Despite this, people love the move for its amazing Stylish animation and really unique move. For challenge runners, it’s a great way to look at a badge that’s clearly outclassed by others. Almost any strategy you come up with for Tornado Jump is bound to be less efficient than a strategy utilizing better badges in terms of FP use and BP use, but that doesn’t mean we can’t get some sick exact damage and low-turn strategies with it! Here are a couple end game boss strategies that make some use of its tornadoes and unique damage property. This strat utilizes Tornado Jump to get rid of Grodus Xs while simultaneously using just enough FP to put Mario at 5 HP after Double Dip Turn 1 for a nice 4 damage lightning attack into Peril. Two Tornado Jumps equipped makes it a 6 FP move. Double Dip costs 4 FP, bringing the total to 10 FP used. With a Point Swap, Mario ends up with 5 HP and 15 FP. On Turn 1, the Tornado Jump used gets rid of all Grodus Xs since the tornado now deals 4 damage (they have 3 HP), but deals no damage to Grodus. Grodus’s 7-damage Lightning attack, which he always uses Turn 1, is reduced to 4 thanks to Last Stand, bringing Mario down to 1 HP, and putting us in Peril for Mega Rush to activate. Now, Turn 2 is where all the setup pays off quickly. Mario’s base Tornado Jump at this point is 7 thanks to it being stacked. With Power Punch and Mega Rush, it’s now at 14. Grodus always spawns 2 Grodus Xs at the end of his turn, so there are two out on the field. For those of you who don’t know, Grodus has a special ability where his DEF increases by 1 for every Grodus X on the field. His base DEF is 1, so now he’s at 3 DEF, bringing Tornado Jump’s damage down to 11. So, we use Tornado Jump to deal that damage (Grodus has 50 HP max, so he’s now at 39 HP) and get rid of the Grodus Xs once more. Now Grodus only has 1 DEF. Goombella Rally Winks to give Mario an extra turn and we finish off with a 6-bounce Power Bounce that starts at 9. 9 + 8 + 7 + 6 + 5 + 4 equals…you guessed it, 39 damage exactly. With that, Grodus is brought down, and you’ve got yourself a nifty (albeit unoptimal) Tornado Jump strategy! As you can see, to utilize Tornado Jump you need a lot FP and a few badges to help bolster it. For this particular strategy, you can get away with a 10 HP, 10 FP Mario, but you’ll need two Flower Saver badges and two Flower Saver P badges to pull off Turn 2 thanks to Tornado Jump’s crazy FP usage. And while I could have easily subbed in Power Rush to discard the use of Power Punch, the Double Dip FP use is actually a crucial move that needs to be done to manipulate FP correctly for Point Swap, which is what’s used to restore my FP without increasing it even further. You could get away with a slick Double Pain equip that puts you at 1 from 15 since Grodus would do 14 with Lightning and eliminate the need for Last Stand, but you’d need at least 20 FP to pull it off without Flower Savers equipped. Another interesting use of Tornado Jump featuring everyone’s favorite boss, Magnus Von Grapple 2.0! The goal of this strategy is to manipulate Magnus Von Grapple 2.0’s HP triggers (63 for X-Punch release, 35 for audience cannon) to work a perfect Tornado Jump in that allows you to deal exact damage with a Jump for the KO the next turn. To do this, we use a beefy partner like Flurrie or Bobbery as a damage sponge while we buff Mario’s attack with Hot Sauce. The first two turns are a classic damage manipulation trick for Grapple 2.0. Until he hits 63 HP (max is 70), he’ll always use his Drill attack, which hits both Mario & Partner. The move does 6 damage, so we Defend Turn 1 and Guard to take 4 damage, then Guard Turn 2 without Defending to take 5 damage, making Peril easy to get to with 10 HP. While we’re waiting for this, our partner & Mario uses a few Hot Sauces to achieve a very specific 14 ATK for his Jump. Grapple 2.0 has 2 DEF, so with 3 Hot Sauces, we’re sitting at 6 base ATK, 9 with two Power Plus badges and a Jumpman. Then, once we get into Peril, that skyrockets to 16 ATK, which ends up to be 14 thanks to Grapple 2.0’s 2 DEF. We Spin Jump for 2 FP, dealing 14 + 17 = 31 damage, leaving Grapple 2.0 at 39 HP. This triggers him to release the X-Punches, which means he deals no damage Turn 3. We also use one extra Hot Sauce to give Mario an extra +1 ATK. At this point, we Tornado Jump for a whopping 12 FP to deal 17 damage and 6 damage with the tornadoes (enough to KO both X-Punches), which puts Grapple 2.0 at 22 HP and triggers the Audience Cannon, which only hits the front, so we’re safe since our Partner is in front right now and Defending. Without the extra Hot Sauces from earlier, Mario’s base ATK with all badges and factoring in Grapple 2.0’s DEF is 11, which is just enough for a Jump attack to KO him with exact damage Turn 5. So, there you have it! Feel free to try these strategies or modify them yourself! As you can see, Mario needs a little bit of setup to work in a Tornado Jump (namely FP), but it can be a pretty fun badge to try out. I will say that it definitely has no business being used unless you’re fighting a boss. Multibounce really is the superior choice for damaging multiple aerial enemies in, say, a 4 Poison Puff loadout or something of that sort. Despite it being one of the worst ranked badges by the Glitz Pit, I think this shows that even the worst badges can be worked into a relatively cool and unique strategy! I had fun coming up with them. And that concludes my first spotlight. Let me know in the comments what you’d like to see next!